This special is subject to allocation and availability on selected apartments only. Cannot be used in conjunction with any other offer. New bookings only. Pool and spa may be unavailable for use. Super deals available on selected apartments. Don't hesitate as others won't! Stop stressing over what to buy your family and friends....we've got you sorted. Everyone needs a holiday so a Bayview Rainbow Bay gift voucher is the perfect pressie. With denominations of any amount or a contribution to an existing reservation, a gift voucher can transform into anyone's perfect getaway. Give you loved ones a break - they deserve it. Everyone needs a break from the daily routine and who says you should wait until the weekend to take one? A midweek getaway gives you the chance to reboot, recharge and reconnect when you’d normally be stuck at work. What's more, travelling on a week day will usually save you time, money & hassle. Bayview Rainbow Bay is the place to be!! 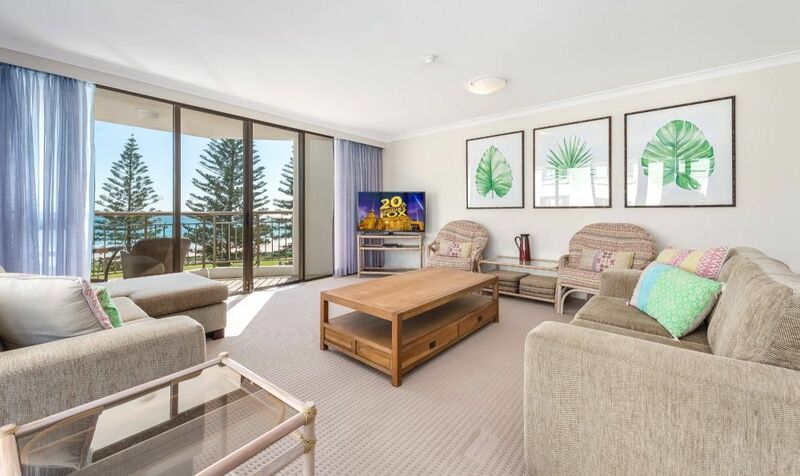 This is the ideal excuse to pack up the family, escape the cold and enjoy all that Bayview Rainbow Bay has to offer. Enquire today. Great deals on offer. Special rates applicable for long stays. Established in 2005, the Australian Open is Bowls Australia’s flagship event. The 2019 Australian Open is to be played over 14 days on the Gold Coast from 1-14 June. 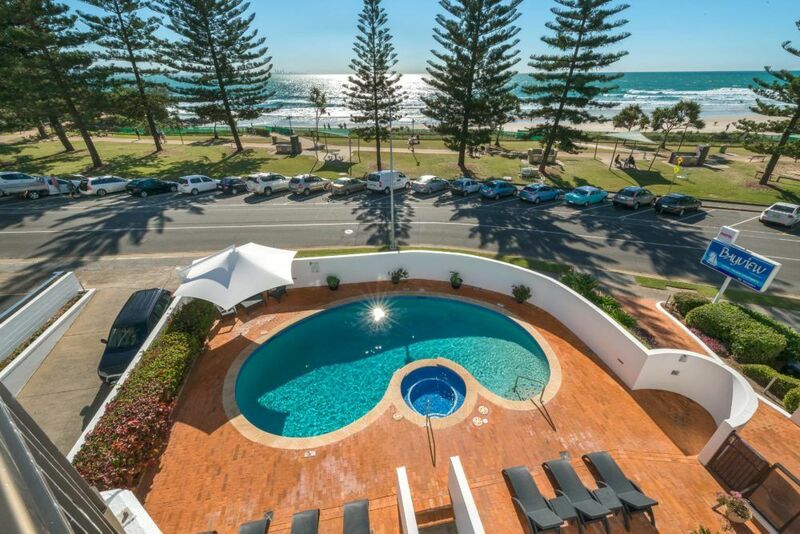 In addition to escaping the southern winter, this is another great reason to visit the Gold Coast and enjoy accommodation at Bayview Rainbow Bay in our fully self-contained two bedroom apartments. Enquire today for package deals. If you love Rock 'n' roll, cars, dancing and live music then don't miss the chance to be part of the most rockin' event of the year! Cooly Rocks On is Australia's hottest Rock 'n' roll and nostalgia car festival. The 5 day festival will showcase some of the biggest names in Rock 'n' roll, Rockabilly and Swing music, with over 50 bands and plenty of dancing! Enquire today and secure your accommodation. Bayview Rainbow Bay is more than just accommodation. Positioned directly across from a patrolled beach, with swimming pool, outdoor heated spa, games room and a full size tennis court, it is a haven for families with children of all ages. All the joy of Coolangatta is within walking distance so there will be plenty to do for the whole family. Brisbane EKKA - Perfect Aussie escape for an extra long weekend! The Ekka is the annual agricultural show of Queensland, Australia. Its formal title is the Royal Queensland Show, and it is held at the Brisbane Showgrounds. Heads up.....the City of Brisbane holds a public holiday known as "People's Day" on Wednesday 14th August. So, why not take advantage of an extra 'long weekend' incorporating the Show Day holiday....enquire today. 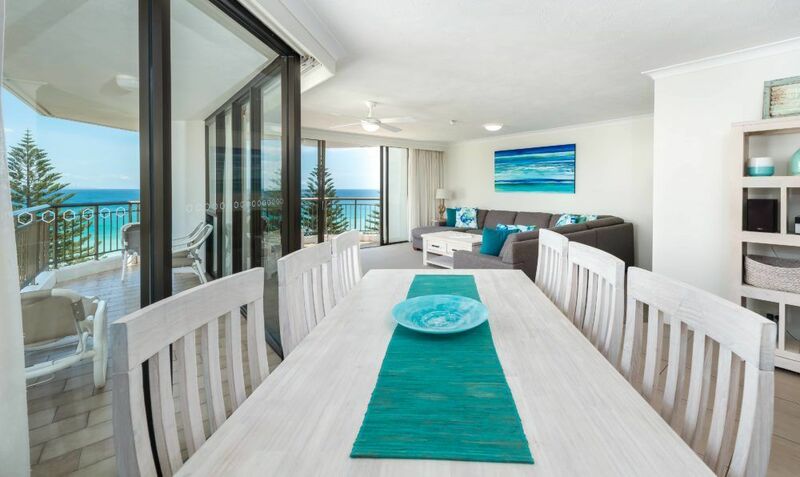 Bayview Apartments are a favourite Holiday Complex right on the beachfront of Rainbow Bay over looking Snapper Rocks famous surf break and the magnificent views right up the Gold Coast. Limited availability remaining for September School Holidays. Enquire today! 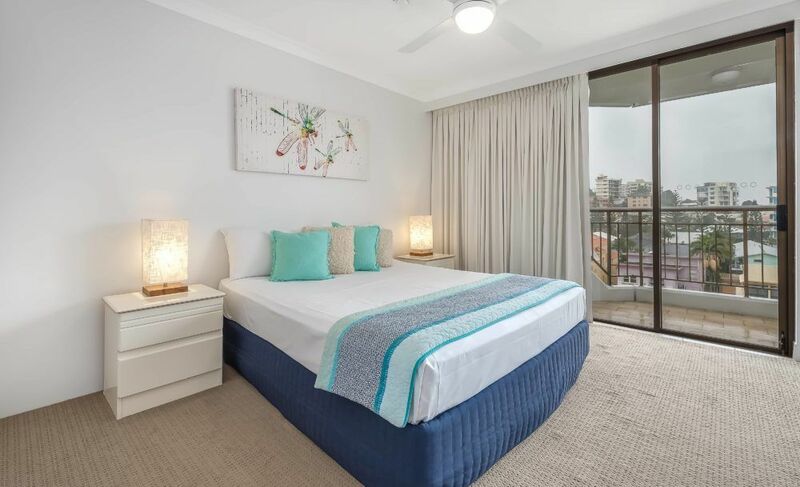 Treat yourself and stay at Bayview Rainbow Bay in one of our spacious 2 bedroom apartments and enjoy all the facilities on offer...pool, heated spa, sauna, full size tennis court & bbq area. Explore the local area and enjoy the many cafes and restaurants plus the local Surf clubs. Arrange a weekend beach escape or a holiday to Bayview Rainbow Bay that will create memories that will last a lifetime. ** Short stays welcome. Enquire today!! Availability remains over the Christmas period in our spacious 2 bedroom apartments with amazing views!! Get into the spirit of Christmas when staying at Bayview Apartments these holidays. Retreat to this relaxing accommodation for expansive ocean views and a prime location. Positioned directly across from a patrolled beach and the resort itself boasts a smimming pool, outdoor heated spa, sauna, games room, full size tennis court plus a covered BBQ area. 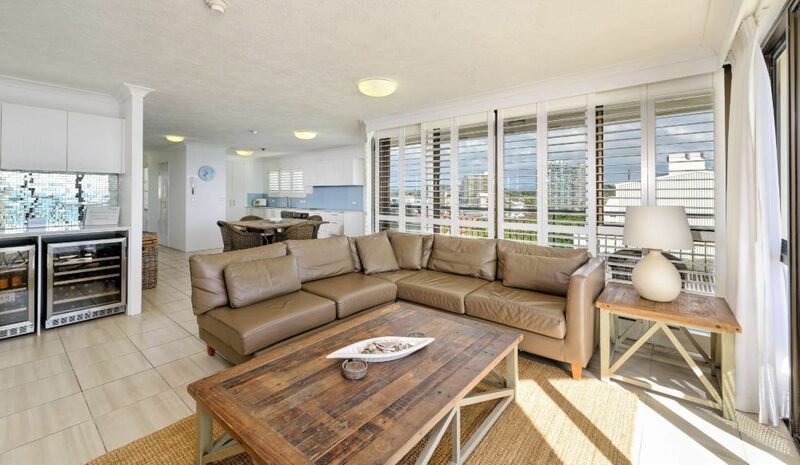 Perhaps you are envisaging you and your friends sitting on the balcony at Bayview Rainbow Bay anticipating your next surf session, or maybe simply relaxing in the sunshine? Maybe it's you and your family, or maybe it's time to spend some romantic time with your partner. Whatever the reason you need an escape, Bayview Rainbow Bay is the place to be!! Want a little more sunshine in your life? Aussies are spoilt for choice when it comes to selecting a short break location and there is no better location than Bayview Rainbow Bay. You know the smug look people returning from a fab short break usually sport, you can sport it too!! Enquire today for availability.